At interpack 2017, HP will showcase how brands engage with their customers, optimize time to market and streamline operations with HP technology, while keeping up with todays fast-paced consumer trends. Leading brands from around the world are already driving sales growth with HP service providers utilizing HPs industry-leading hardware and software solutions. 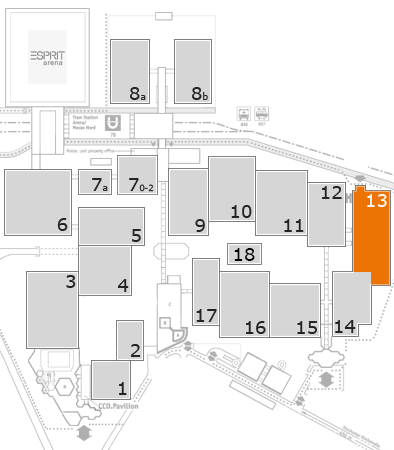 In Hall 13 (Booth 13C93), from May 4-10 in Dusseldorf, Germany, the 850 sq.m. HP will showcase brands success alongside its latest digital printing technology. HP customer samples will be displayed in application areas for flexible packaging, folding cartons, labels, corrugated packaging, and product identification. Live shows include a theater highlighting HP value for brands, as well as an “in-the-box” encounter with HP corrugated packaging solutions. HP Graphics Solutions Business is the leader in digital printing. We provide digital packaging presses to print and produce labels, folding cartons, flexible packaging, shrink sleeves and corrugated packaging.